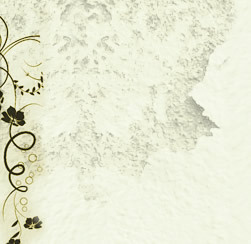 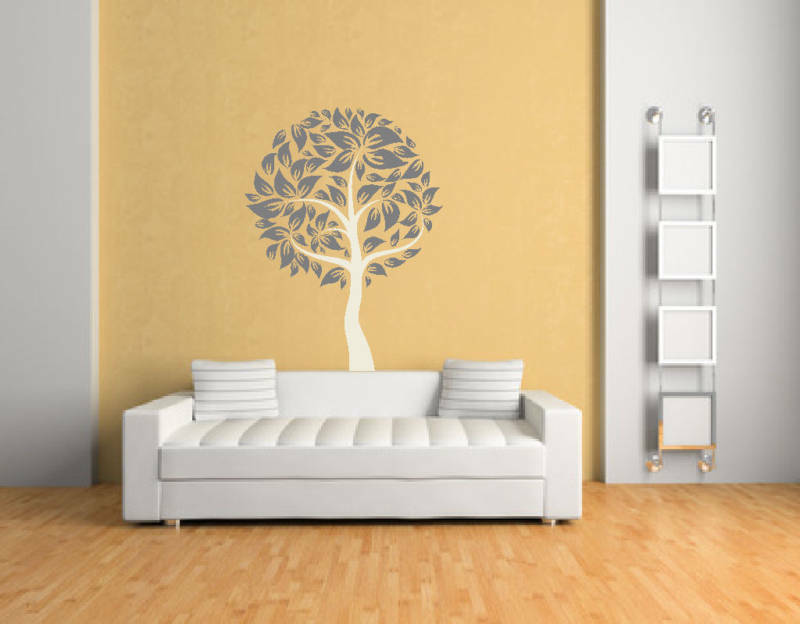 A voluminous illustration, this generously decorated Large Leafy Tree wall decal will enrich drab decor and spice up your home. 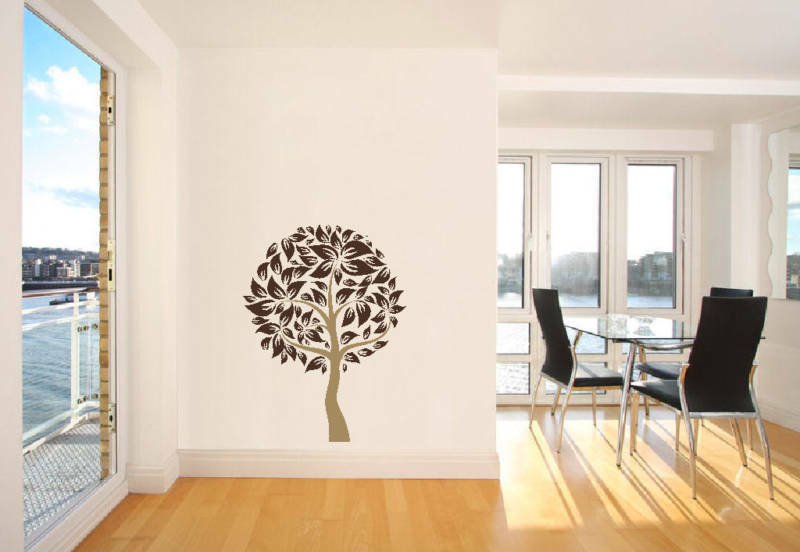 It features a curved trunk, six branches and many leaves which flow together, forming a circular shape. 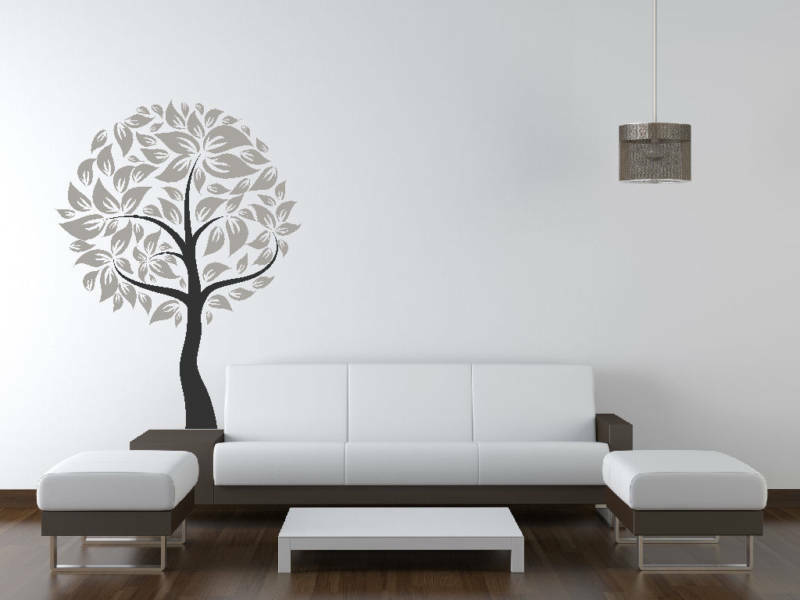 This woodland design would work well in various spaces around the home, but in a conservatory or sun room it would be particularly effective. 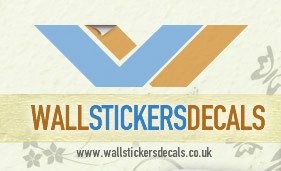 Our stickers can be purchased in three different sizes; small, medium and large. 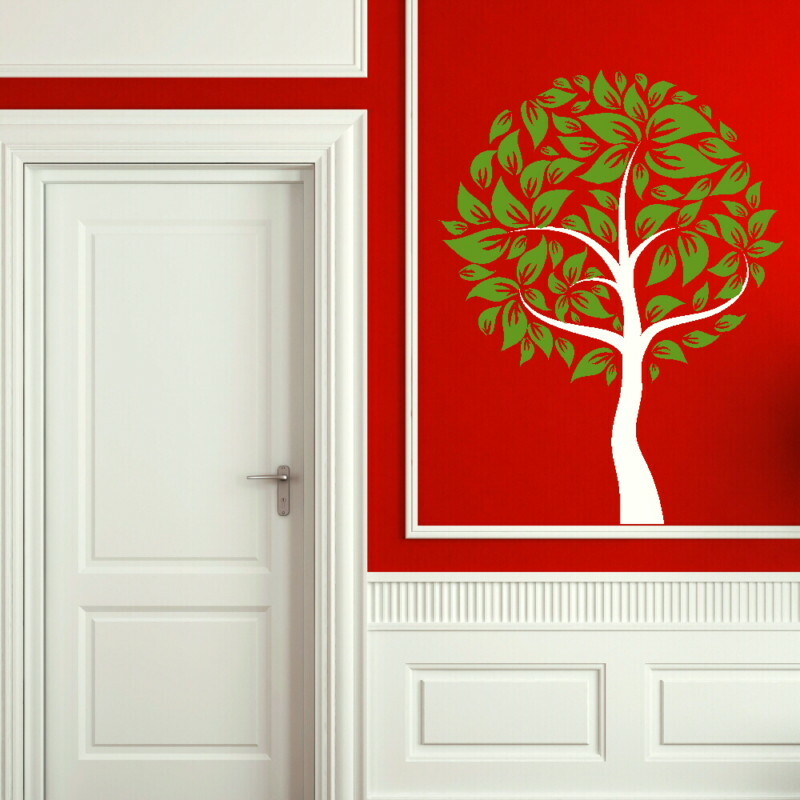 We also offer a wide range of colour choices, so have a look through our online catalogue before making a decision.